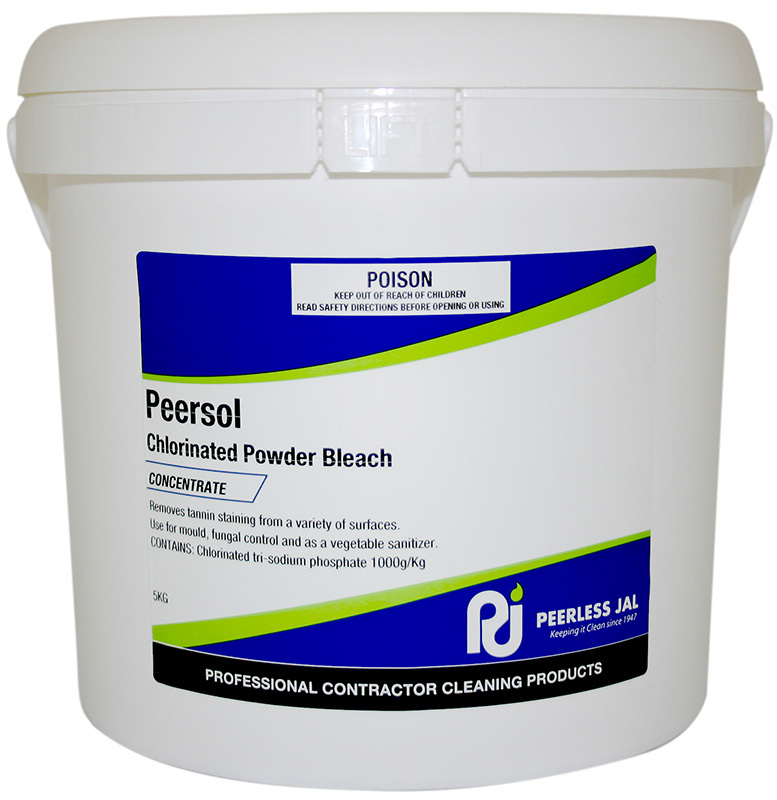 Peersol Chlorinated Powder Bleach is a concentrated powder destainer and sanitiser for removing tannin stains on fine china, porcelain, stainless steel, melamine, tea/coffee cups and teapots. May also use as a vegetable sanitiser. Download Peersol Chlorinated Powder Bleach MSDS.